Roses seem like they’d be such a hard thing to draw, but with a little help from the website I have included in this project, it’s quite easy. Every 6th grader just knew they couldn’t draw one—-until they did. You can see how well they did. You can use construction paper or other white paper for this, but watercolor paper is best. You’ll need that, watercolor pencils and a small paint brush. For directions go to, “Roses in Watercolor Pencil,” in the 6th Grade Projects Gallery in the sidebar. 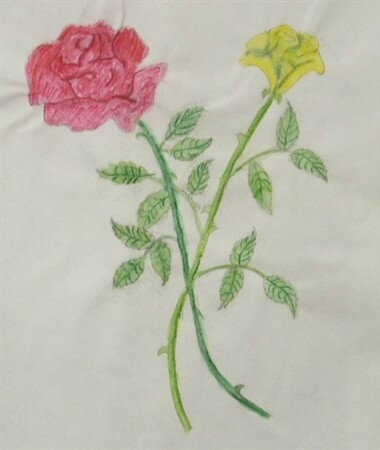 This entry was posted in 6th Grade and tagged 6th grade, classroom art projects, flowers, how to draw roses, roses, roses art project, roses in watercolor pencil, watercolor art project for kids, watercolor pencils. Bookmark the permalink.